The Brandon Sports and Aquatic Center (BSAC) proudly announced the hosting of its third annual Dash and Splash event scheduled to be held on Saturday, September 13 at its facility located at 405 Beverly Blvd. in Brandon. According to BSAC officials, the event, which will begin at 7:30 a.m., is held annually and is an important event for both the Center as well as for the community. Bukaweski explained that Dash and Splash is a swimming/running timed event consisting of a 2-mile run, quarter-mile-swim and a 1-mile run for adults. Of course, children are not left out of the activity-filled festivities. For children ages 7-10 the event will feature a half mile run, 100 meter swim, and children ages 11-14 will be able to take part in a 1-mile run, 200-meter swim. Pre-race day registration prices are $25 for adults, $15 for children ages 7-10 and $20 for children ages 11-14. Registration will be available on BSAC’s Website at mybsac.org. Those unable to attend the event can still support BSAC’s Youth Drowning Prevention Initiative by purchasing a T-shirt $15 each from the Center. “We encourage athletes, non-athletes, children and adults of all ages to participate in this family oriented fun event,” said Bukaweski. For more information, call 689-0908. 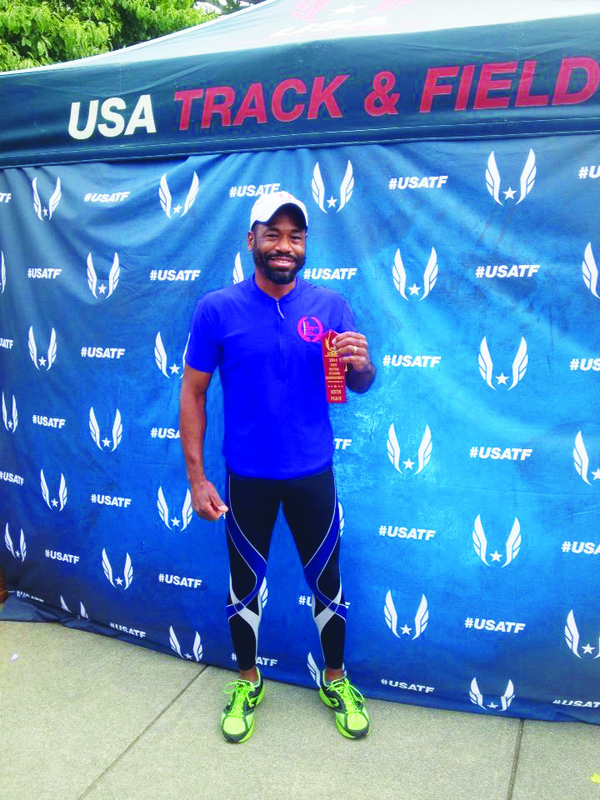 An inspiration to many adult athletes, TRX instructor and lifelong runner Karlton Meadows, 44 of Riverview, who has committed to attend the 2016 Olympic Games, has been training hard to be the Olympic 800 meter run Gold Medalist in Rio de Janeiro, Brazil. Meadows made his commitment to the Games in February 2012 and since been taking part in a number of competitions. “My childhood dream and the fact that my older brother was a champion runner before his knee surgeries are the reasons why I am training to be the future Olympic 800 meter run Gold Medalist,” said Meadows, whose plethora of medals earned for competing in various road races and Track and Field meets just grew a bit larger. His most recent achievement includes a competition at the USA Track & Field Masters Outdoor Championships in North Carolina. Meadows was also awarded a grant from the United States of America Track & Field Masters Executive Committee and recognized by National Chair Gary Snyder for his participation. “It was most exciting and educational,” Meadows said.